PALM SPRINGS, Calif. – It is no secret that players who enroll in the California Winter League are placed in a position to succeed, and those opportunities translates into professional contracts in both independent and affiliated leagues. On top of the contracts that have been signed, we have seen many CWL alumni achieving league recognition with various titles such as Frontier League All-Star MVP, Frontier League Rookie of the Year, American Association MVP and more. 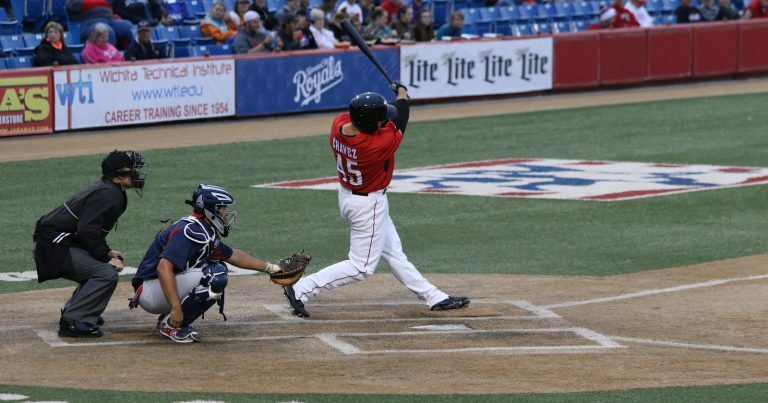 The Wichita Wingnuts claimed their first weekly award of the 2016 campaign Tuesday, as first baseman Matt Chavez was announced as the American Association Pointstreak Player of the Week for the week of July 18-24. Chavez had a huge week at the plate for Wichita, going 12-for-25 (.480) with a pair of homers, four doubles, nine RBIs, four runs scored, and at least one hit in six of the Wingnuts seven games. The California native’s big week was highlighted by a 4-for-4 performance on Sunday against Joplin, which saw him homer, hit a pair of doubles, and drive in a season-high tying four. 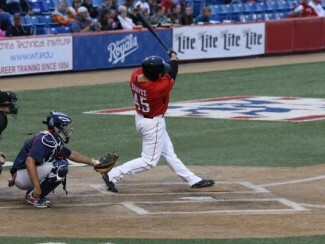 The former San Francisco Don has been on a tear for the Wingnuts since his return from the inactive list on June 30. In 25 games since he was activated, Chavez has gone 37-96 (.385) with six home runs and 28 RBIs. For the season, Chavez is now hitting .385 through 31 games with seven home runs and 31 RBIs. The CWL is proud of the success Chavez has achieved since his time in Palm Springs, from the contract he earned with the San Diego Padres out of the CWL to his current contract with Wichita in the American Association, the league wishes him continued success in his journey through baseball.